This was a very affordable and easy project! 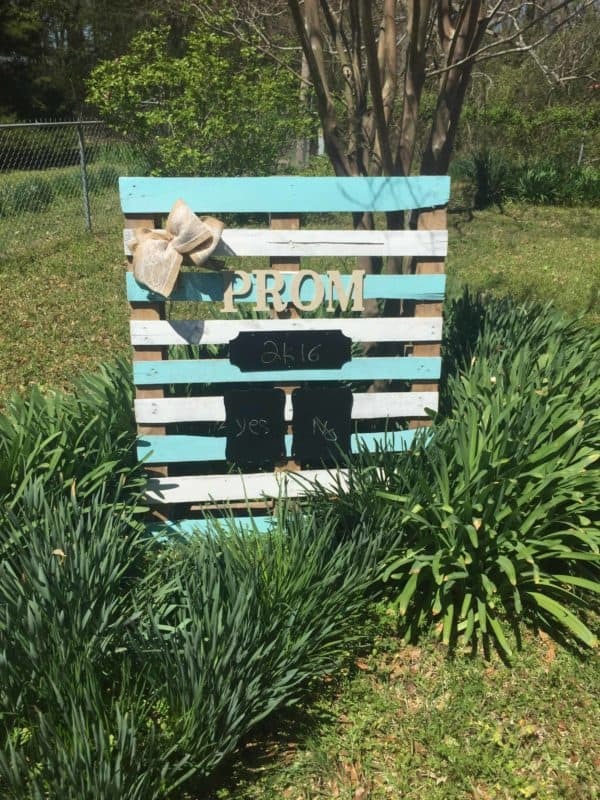 Looking back two years ago it seems like it took me only 30 minutes to complete this pallet sign. Everything but the wooden pallet was purchased at Walmart. This was a fun project to make her senior prom memorable!